The skin is our largest organ – and one that is regulated with the utmost precision. It follows different rhythms and has different needs. During the day, for example, it likes protective skin care and at night liberating, stimuli-packed night care, which helps it regenerate. Our skin can also be influenced by the seasons and our age. As a reflection of our soul, our skin also requires frequent phases of additional skin care stimuli. At Dr. Hauschka, we therefore refer to skin conditions, which appear and disappear, rather than fixed skin types. Our skin care concept is as rhythmic as life itself. After all, we believe it is important to respond to and respect the skin’s rhythms. As a result, we have developed individual skin care plans for the various different skin conditions. All of these share the commonality of three skin care steps at night and the nourishing trio in the morning. This trio of cleansing, toning and moisturising is optimally tailored to the skin’s needs on a morning. Cleansing removes the excess metabolic products that the skin has excreted over night. In the second skin care step, aqueous medicinal plant preparations tone the skin while a select daytime skin care product moisturises it and protects it against environmental influences. But that’s not all. You make as much of a difference to the success of your skin care as the Dr. Hauschka products themselves. “People need two kinds of beauty – inner and outer.” Elisabeth Sigmund, co-founder of Dr. Hauschka Skin Care, was well aware of this. 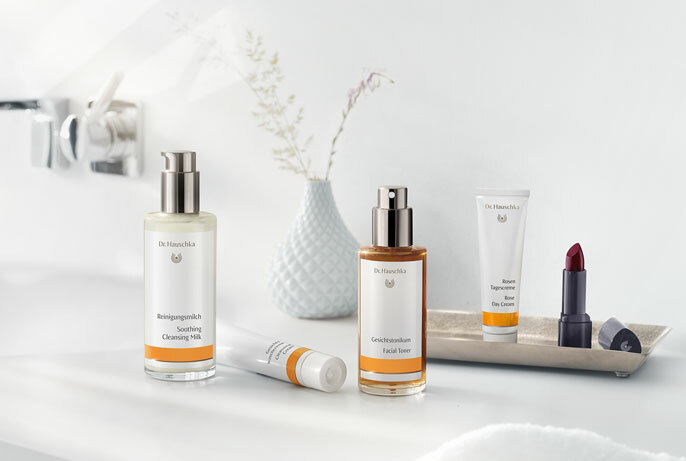 It all starts with the way in which you use the Dr. Hauschka products and establish a dialogue with both these and your skin. After all, the key to your beauty lies in paying yourself some attention. Want to know which products are best for your skin condition? Then click here for a Dr. Hauschka skin consultation. 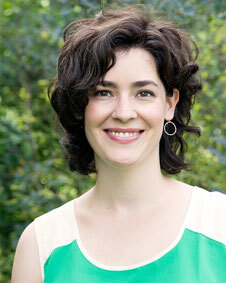 Ms Becheru, you are both a product manager and a Dr. Hauschka esthetician. That’s quite unusual. How did it come about? I had an eye-opening experience during a Dr. Hauschka skin care treatment. As the Dr. Hauschka esthetician was treating my face, she commented that my feet were often cold. She could see this in my face! 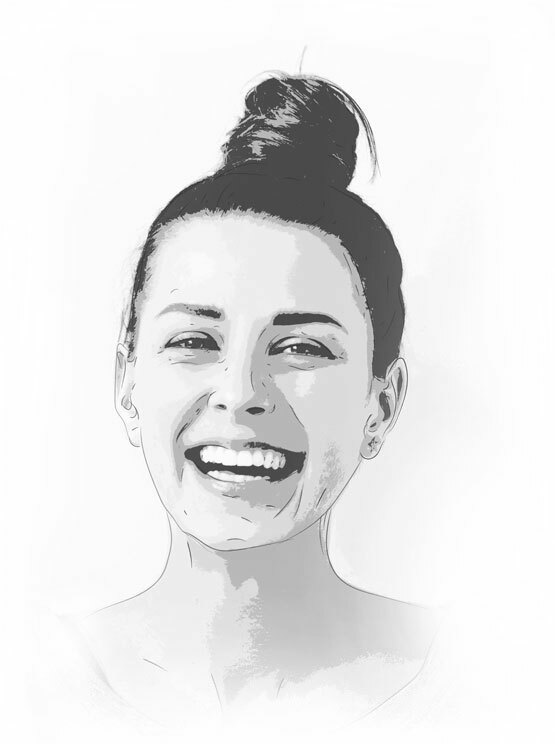 At the time, I was already a Dr. Hauschka product manager but the further training enabled me to delve deeper into the Dr. Hauschka product and treatment cosmos. In doing so, I realised that our treatment and our products simply belong together. 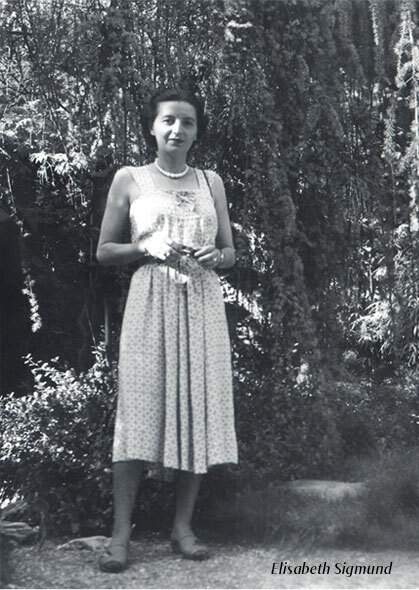 After all, Elisabeth Sigmund, co-founder of Dr. Hauschka Skin Care, initially developed the products in her beauty studio for treating her customers. So can I only use Dr. Hauschka Skin Care products with the aid of an esthetician? No, of course not. It’s far more about doing something good for yourself with your everyday skin care; quasi giving yourself a treatment and paying yourself some attention. It’s all to do with self-appreciation and self-care. And that begins in the morning with a special kind of facial cleansing. The basic product for this is Dr. Hauschka Cleansing Cream with almond flour and medicinal plant extracts. It is applied in a unique manner and acts as an example of how closely our products are linked to our treatment. What exactly do you mean by a cleansing product that is linked to the treatment? Lymph stimulation plays a central role in the Dr. Hauschka treatment. We use brushes and our hands to activate the lymph flow in the lymphatic system. This is a kind of cleansing system in the body, which excretes excess metabolic products for example. We therefore use lymph stimulation to support the skin with its natural activities, keep it healthy and cleanse it. But what has lymph stimulation got to do with facial cleansing at home? By correctly applying the Cleansing Cream, you can stimulate the lymph flow in your skin. To do this, roll your hands from the top to the bottom of your face and from the centre outwards. The combination of the product and manner of application result in a cleansed complexion. It may initially take you slightly longer to use the product as the movements will be new to you. However, the time I take during this process is time that gives me something back. The Dr. Hauschka skin care regime for mornings comprises three steps. Cleansing is followed with the second step of toning. That’s right. The toning products are aqueous medicinal plant preparations, such as Facial Toner. What makes this special is that you spray it directly onto your face rather than onto a cotton pad first. Even the delicate mist of spray feels delightful. I then use my hands to gently press the product into my skin. A further lovely way of being in touch with myself and a kind of self-treatment? Exactly. These are the little daily rituals, the periods of time-out from everyday life, my five minutes that are mine alone. This time in the bathroom allows me to enjoy some mindfulness and consciously exhale. That almost sounds like a yoga workout. But I still need to start my day and I’ve not yet done the third step – moisturising. Yes, and this is a very important step as the daytime skin care protects the skin against external influences such as the wind or dry air from heating systems. It can do this through the high-quality oils and waxes that form the basis of the products. However, our daytime skin care products do more than just protect the skin. Each composition is also carefully tailored to the skin’s changing needs thanks to special medicinal plant extracts, helping it to restore its natural balance. What do you mean ‘changing needs’? Isn’t my skin always the same? Either dry or sensitive for example? When I talk to customers before a treatment, I’ve often noticed that they can precisely describe how their skin feels. Whether it is taut or perhaps unsettled or greasy. What is interesting is that this feeling may have changed by their next treatment appointment. In winter, for example, the skin tends to be drier, or at stressful times of life, it tends to become more blemished. Depending on the skin’s varying needs, we can offer the right daytime skin care to help regulate it. Is there also a special way of applying the daytime skin care products? I can apply the daytime skin care products perfectly normally, just as you usually would. However, you can make it a more sensual and emotional experience by paying proper attention to yourself, feeling in touch with yourself while applying the products and immersing yourself in the way you feel. The natural scent of the products furthermore conveys moods. Each morning, the same delicate scent fills my nose and gives me the space I need to enjoy my skin care. That is my daily ritual. The Dr. Hauschka products are so much more. Covering an area of 1.5 to 2 square metres, the skin is the largest human organ – as well as the heaviest with a weight of up to 10 kilograms (including the hypodermis). It is a permeable boundary and a reflection of our soul. If fulfils a huge range of tasks.